The Great Depression pushed cotton prices to drastically low levels. The Memphis economy was suffering. In early 1931, Arthur Halle and a group of businessmen founded a festival to promote cotton and Memphis. The first Cotton Carnival was held in March, but soon moved to May, a warmer month. Today’s Carnival is usually held the first week of June. Because of segregation, blacks could not participate. So Dr. R.Q. Venson founded what became the Cotton Makers Jubilee in 1935 for African-Americans. The events ran parallel to one another for nearly half a century. In March of 1934, Dr. R.Q. 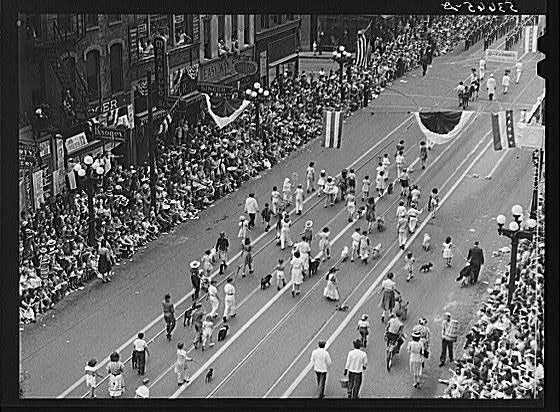 Venson, a Beale Street dentist, took his nephew to a Cotton Carnival parade. While at the parade, his nephew pointed-out that, “the negroes were horses,” meaning that black men were pulling the floats. In reaction to this, Dr. Venson requested that blacks be allowed to fully participate in future Cotton Carnivals. His request was denied, so, Dr. Venson created the Cotton Makers Jubilee as an alternative to the racially-segregated Cotton Carnival. Black Memphians would have their own festival.